Poet, author, performing artist Elizabeth Acevedo will perform and read from her new novel-in-verse “The Poet X.” Acevedo has more than 15 years of performance experience, and has toured her poetry nationally and internationally. 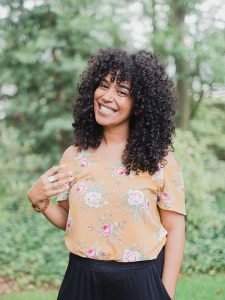 She is a National Poetry Slam Champion, winner of the 2016 Berkshire Prize, “Medusa Reads La Negra’s Palm”, Cave Canem Fellow, CantoMundo Fellow, and participant of the Callaloo Writer’s Workshop. The event is free and open to the public. It begins at 6:00 pm. although doors will open at 5:30 pm. A question and answer period will follow the performance and reading. Acevedo will be will be available to sign books. Books will be on sale that evening.